Is the patch right for you? October 6, 2004 -- Today the Kansas City Star ran a good piece by Lisa Gutierrez, headed "Uniform prescription," about the long history of the nursing uniform and the ongoing debate as to what suits the profession today. 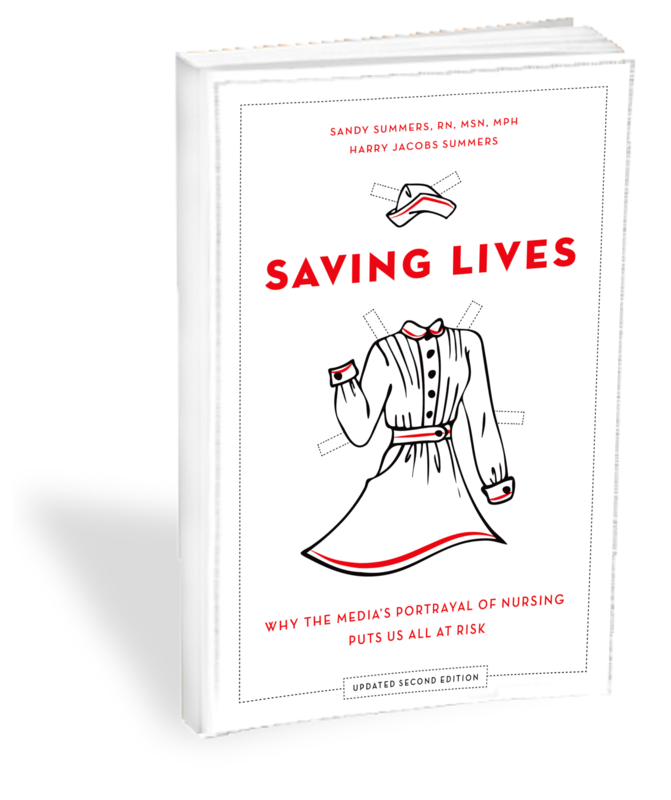 The lengthy article, which included significant comment from American Journal of Nursing editor-in-chief Diana Mason, explored the pros and cons of scrubs, traditional whites, and the new "RN" patch. Much of the piece centers on the spirited debate about two Atlanta hospitals' recent decision to return to traditional white uniforms. In general, such debates center on concerns for individual expression, comfort and flexibility, the interests of patients, and of course, presenting a professional appearance. The piece refers to the "fashion parade" of patterned scrubs that many nurses now wear, decorated with "cartoon characters, Elvis, hearts and flowers, wizards and frogs, balloons and teddy bears, ghosts at Halloween and snowmen at Christmas." It might have noted that some nurses have questioned whether this "fashion parade" presents an appropriate image for a modern profession battling for respect. Finally, the piece describes the new red and white "RN" patch that was developed by the creators of the recent exhibit "RN: The Past, Present and Future of the Nurses' Uniform" at the Fabric Workshop and Museum in Philadelphia. At the end, the piece notes that the RN patch is now available through the Truth. See Lisa Gutierrez's article "Uniform prescription" in the Kansas City Star's October 6, 2004 edition. The piece was reprinted in the Charlotte Observer on October 18, 2004.